the user, who currently logs in into MCC, gets all personal data (bookmarks, passwords - yes, passwords!) into the own Chrome of the user, who was logged in into MCC previously. Any SEO know about benefits of structured data. Google offers a special structured data testing tool to test the existence and quality of the structured data on the certain URL. But what, if you want to test some URLs? Copy URL, switch the tab, go to the Google Structured Data Testing Tool, paste URL, press Enter. And again, and again...? Annoying! I've coded a solution for this kind of routine task. What's wrong with image dimensions? roughly 20% images are oversized in terms of dimensions: it means 20% of original images are higher than their displaying dimensions. Google, please, don't outsource to India! It is rather Chrome 60 (60.0.3112.113). This Chrome version was choosen by Screaming Frog developers as more stable AND with fewest rendering differences to the Chrome 41. You can compare both versions more detailedly at https://caniuse.com/#compare=chrome+41,chrome+60. According to Screaming Frog support Chrome 60 version was selected due to working stability with the spider engine at scale, rather than because of rendering issues. How to disable Excel preview in Windows Explorer on Windows 7 and Windows 10. Preview of Excel tables, specially of bigger size, can go pretty hard on the system performance. Some ressources recommend to use setting of Windows Explorer - but on this way one can only disable ALL previews. With any file extention there is a Preview Handler associated. To disable only Excel previews, but to keep all other, which aren't so performance hungry, like previews of images or PDFs, one should edit (better as delete) one key in Windows registry. 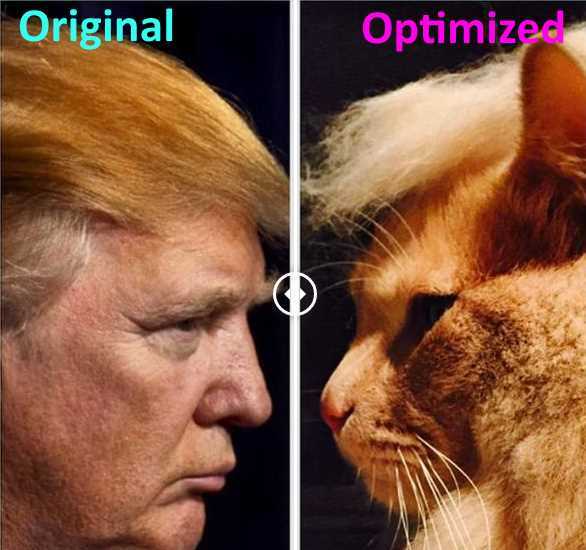 What is this - a perfect image optimization tool for SEO? This tool should be able to resize images saving the width/height ratio. Do i want too much? No, i believe, it isn't too much. I will not explain, why image compression is substantially important for your website's rankings. Just one sentence: images are the most heaviest static asset type on ANY website. Do you still don't want to compress them? No prob, just as you wish. But why are you still here? Setting of multiple filters in the Google Search Console is possible! Yes, against different answers of some experts in the Google product forum, like here or there. The possibility to set multiple filters is extremely useful and works into both directions - you can include or exclude multiple keywords, urls, traffic sources - anything, what you want. 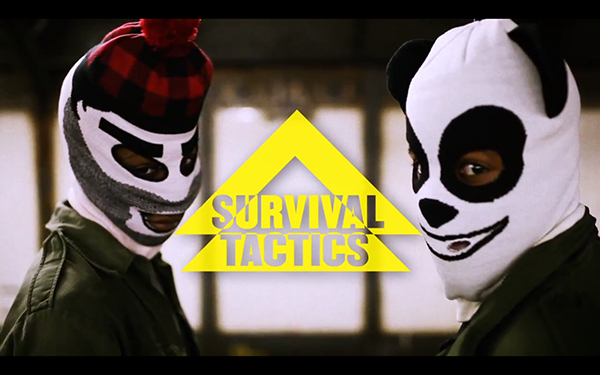 We will operate with filter settings through manipulation of urls. You'll need for this a good code editor - good means Notepad++, one magic plugin for it, and, surely, a bit of chutzpah - yeah, we'll do the big G, nothing less! TF-IDF, term frequency–inverse document frequency, is, explained in short, from rookie to rookie, the relation of term usage frequency in the given document to usage frequency of this term in all documents containing it. This relation mirrors how relevant is the given document for the given term in the manifold of all documents containing this term. TF-IDF is successor of keyword density. Some non-demented SEO geriatrics can remind, what means keyword density: number of term's usage in the text divided through the number of all words in the text multiplied with 100. This formula is in reality both most used and wrong. Well, i'm not your Wiki, and if you're in the full legal age and not banned by Google, you would find fast everything you need to know about keyword density and TF-IDF. I just say: nowadays TF-IDF is nearly the single numeric parameter of content quality. But this article is about something other - i've promised to share some freebies, right? it doesn't force websites to comply with W3C validation rules. 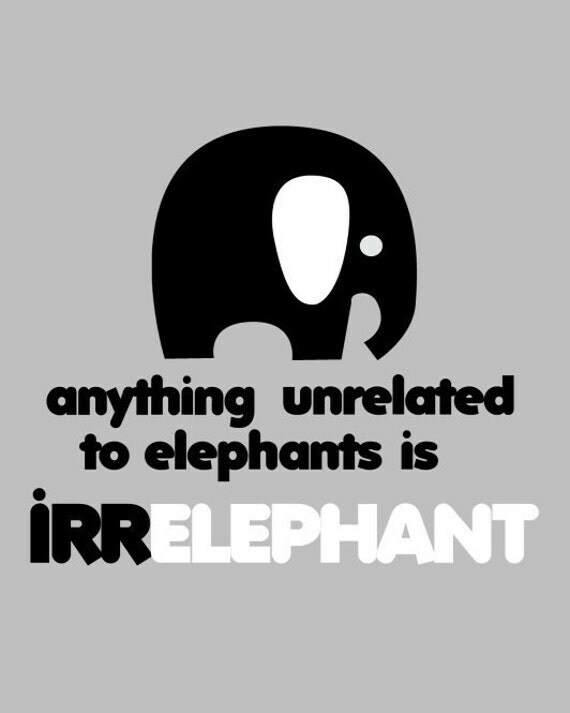 Many webmasters are affected from the weird issue: Google is indexing (at least crawling) non-existing URLs. The issue isn't depending of whether one uses Wordpress or other CMS. This question about why Google is crawling and / or indexing non-existing URLs appears in all webmaster forums, Google Groups and so on, but without a clear solution. Where non existing URLs are coming from? Why is it not optimal, if non-existing URLs are crawled respectively indexed? How to minimize risks related to non-existing URLs? The second question is more general: whether to host externally? Or locally? There is a Federal trade Comission's report, about how Google misuses its prevalence to kick off intermediary players from some search verticals, like comparison sites or aggregated shopping, where sites sell products from different manufacturers. Google means, intermediary businesses are poachers and steal Google's money. Google means, SERP is the place for users to see original manufacturers or direct service provider. SERP should be not the place for intermediary services, cause they are secondary. And the sign of secondarity is easy to measure: it is the fact of presence and the proportion of the duplicated content. The intermediary job to compare and to aggregate stuff and user voice would belong only to Google, because only Google were good, honest, and, last, but not least, it doesn't offer duplicated content - it's just a search engine, not? Google is a strong rival, playing by own rules. But do you still want to survive this battle? My installation of SEOTools for Excel on Windows7 x64 / Excel x32 didn't want to cooperate with me from the first step. As first Excel refuses to open seotools.xll properly - it thought always it would be a text file. Then, after try to install SEOTools x64 version as addin, it wasn't not visible in the ribbon at all, but doesn't want to be deinstalled. I was forced to delete it on the hard way. Then, on trying to install SEOTools x32 version, i was pretty near success: i got the strat splash screen from SEOTools, but then an error alert raised, The Ribbon/COM Add-in helper required by add-in SeoTools could not be registered. This is an unexpected error. Error message: Exception has been thrown by the target of an invocation. And nothing more. After some investigations it becomes clear, that the problem is in the not corresponding versions of the machine (x64), Win7 (x64) and Excel 15 (x32). BTW. if you need to get to know, what is installed on your machine - here are all the places listed, where you get needful information about your hardware, OS and Excel. URLs with query strings can be a real poison for a SEO. The main and mostly harmful damage untreated URLs with string query do, is a not calculable rise of amount of existing URLs with same content, HTTP answer code 200 and untreated indexing management, also called duplicated content. Another issue caused by query strings in URLs is overspending of crawl budget to URLs with query strings, which must be better excluded from crawling and indexing. On this way a site with untreated URLs with query strings gets on the one side such URLs into index, which don't belong here, on the other side the crawling budget for good URLs could be missed, cause overspend. There are some passive techniques to deal with query strings in URLs. 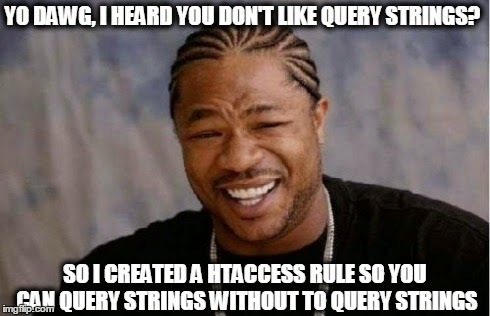 Actually i planned to publish existing techniques for dealing with query strings in URLs and my solution for SEO problems caused by query strings in URL into my ultimate htaccess SEO tutorial, but then this topic got some more details, so i decided to create an extra article about query strings in URL and SEO. while Google means, it could deal with query strings in URLs, it recommends to adjust the bot's settings in Webmaster Tools for each of existing query strings. These methods are mainly manual, require unpredictable workload and solute problems partly. But the good news is: i have an universal solution, working for all URLs with query strings and getting rid of all SEO troubles caused by query strings in URLs. Freebase will close in the nearest time! And, from 31.03.2015 on Freebase will be available only in read-only status: no more new entries, no more edits. Freebase database will be then integrated into the Wikidata. I relate with it to the yesterday post from Freebase Google Plus account, where the closing and integration road map is detailedly described. In the mid 2015 Freebase will be shut down as the standalone project. But what means putting Freebase out of service for all of us, who wants appear in the Knowledge Graph, but haven't enough mana to appear in the Wikipedia? Earlier it was possible to target an ad audience only by interest, without be forced to select any other option. Since last Friday (even yesterday) one must select... "at least one country!!!" And the ad can be target to maximum 25 countries. So now, if one wants to target an ad to the whole world, not dependently from country, only on interest - one is forced to set up 8 ads instead of one, and select manually 196 existing countries. Is this now not ultramoronic? No tag can exclude webpage part from Google indexing! The silly advice about a snake oil named googleon / googleoff is mantra-alike repeated in the wild web. The repeating won't make it working: googleon / googleoff do their job only inside of Google Search Appliance environment, said John Müller of Google. Hope we closed this discussion once and forever. the necessity (or, to be honest, the wish too) to reproduce the site's structure in the matching URL's structure. Before we begin let us declare, what we mean as long URL: how many characters it must have to be named long? The longest URL in the Google's Webmaster Blog is 95 characters long, so let's call long URLs longer as this. ...sites with high numbers of removal notices may appear lower in search results. On the background of all known Negative SEO cases this can be the next thing, where a honest publisher will be punished for nothing. doubtless machine-readable relations between author's entity and author's creative work. Our objective is a solid, structured and chained publisher identity, which will include the author, the publishing medium and the publication itself. Let's work! 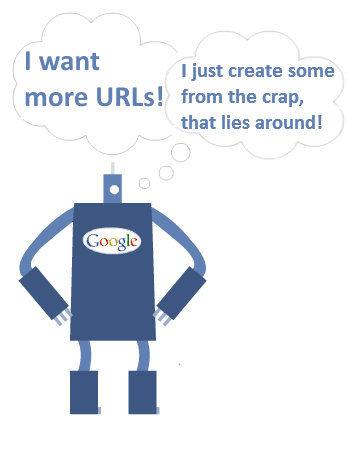 Google's Penguin update is about links, namely about good and bad backlinks to your site. It will evaluate anchors of your backlinks and the quality of backlinking sites. 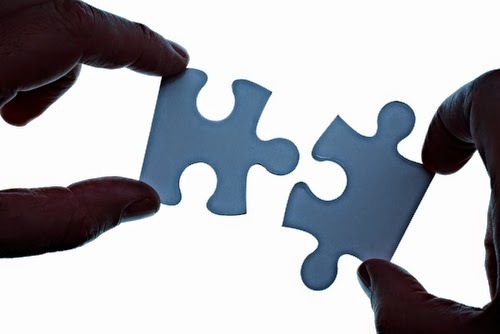 Further it will look deeper into relations between your site and sites linking to you. One of the common techniques of the website performance optimization is the reducing of the HTTP requests amount. 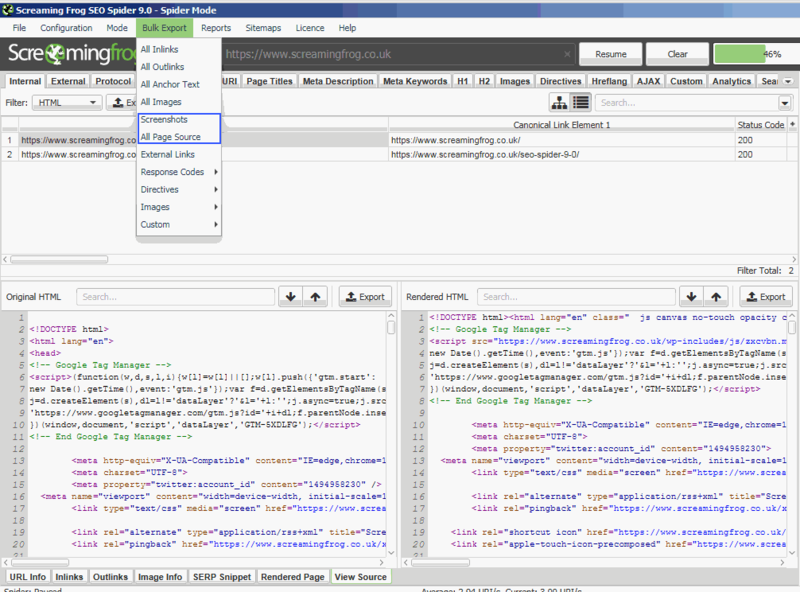 Each website asset, like image, needs a HTTP request to be loaded. On this issue is based an idea, to embed website images as base64 encoded data URI. After an image is embedded directly into HTML or CSS of the website, no additional HTTP request is needed to load this image - it is no longer an external resource, but becomes a part of the source code. This is the good part. Faceted search, SEO and user experience: how to and why? to reduce the negative SEO impact of the remaining useless URLs. There isn't the magic method - no one of existing SEO techniques does the trick alone. What works is the combination of SEO techniques, which i collect in this article. 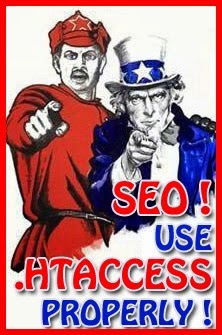 .htaccess (hypertext access) is a text file, placed mostly in the root folder of the given site and invisible cause of the point at the begin. .htaccess contains directives for server, server software, robots and browser about handling of files, folders and paths / URLs. Site security has in my opinion only indirectly to do with SEO, so i decided not to make it to a topic of this article. One of the best methods to gain the topical relevance of a text is to use entities instead of "plain" keywords. The most simple way to create an entity out of a keyword is to extend it as a standalone type with the Schema.org-markup and prove it with additional trustful informations. Here is the applying point of HTML5 attribute itemId and Schema.org-properties sameAs and additionalType. All of them are used to provide additional informations to a type. But while itemId and sameAs are pretty much the same, additionalType is used for different purpose. Let's look at the use cases in detail to get clear about distinguishing and correct assignment. Accurate usage of these properties is crucial for semantic SEO purposes, cause the kind of the entity creation turns the algorithms opinion about the given text to finally more or less topical ranking. 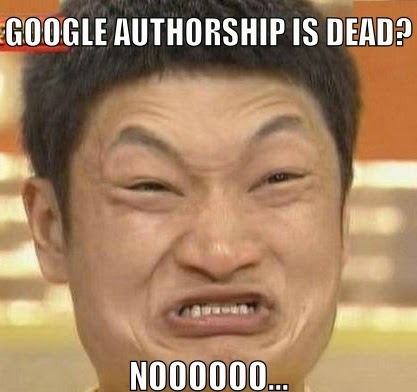 Authorship is dead? No! It must be just implemented correctly! based on rel=author. "Partly" cause author images and names are still shown, if you are logged in into your G+ account and the author is in your G+-circles. how to create relevant content? The third part of my OnPage framework is dedicated to semantic of a webpage. With this article i will give an overview of benefits and usage areas of semantic markup. Use this article like a kind of cheatsheet for OnPage audits of existing website, SEO strategy for website under construction, or website preparation for semantic search before relaunch. Search engines use semantic to improve the search results (semantic search). Using semantic OnPage makes texts better machine-readable (exacter understanding and distinguishing). All fresh kinds of search results output, like rich snippets, Knowledge Graph, the OneBox are based on and populated with semantically rehashed informations. It's already proven, that semantic markup is a ranking factor: 0,3% of all sites make use of semantic markup, but 36% of sites at SERP encounter it. Is text to code ratio relevant for SEO? The short answer is: no. There is no such metric or signal or anything, what would Google measure. The long answer is: ...yes! How? Optimizing text to code ratio to the benefit of text, we reduce the code rate. 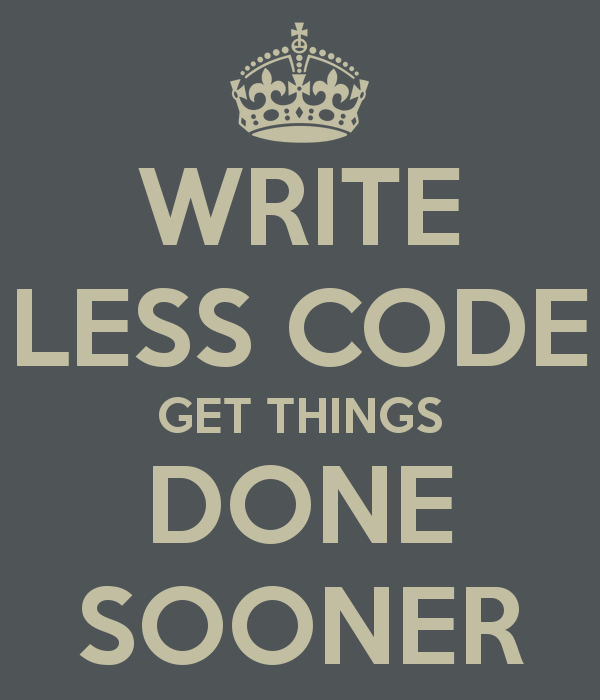 Less code generally effects less page loading time. And this is very well a measurable signal, evaluated by Google and influencing a rank. So what now? Text to code ration as measurable number isn't relevant for SEO in no way. But it does matter as a first symptom of possible loading time issues, related to dispensable code inside of web document. How to reduce the website code amount? Some of the most popular keywords, which Google suggests, regarding keyword tools are "keyword research", "keyword spy", "keyword generator", "keyword finder", "keyword discovery", "keywords search" and "keywords for SEO". I decided to tell about some tools, which i use for certain aspects of keyword research. 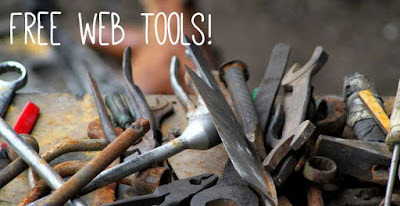 The keyword research tools i tell about have all in common, that they aren't well-known as e. g. Übersuggest, but they accomplish exactly so good if not better the same tasks, as established commercial and free tools. Guest blogging is a hot topic now. There is much unclear with it: some of doing guest blogging get penalized, other are up and about spreading guest posts, and do it fearless and en masse. Ok, the life keeps moving, and incoming links must be acquired, whatever comes, cause they remain one of the strongest signals for the site ranking. In the last article about guest blogging i've written about guest post markup, which helps you to create an additional trust signals in it. Shortly, reading an article from Bill Slawski about Google co-occurrence patent and keyword relationships i got an idea about utilizing of co-occurrence for guest blogging. guest article author is rewarded with (highly) keyword-enriched link anchor text from the guest article to author's own site. 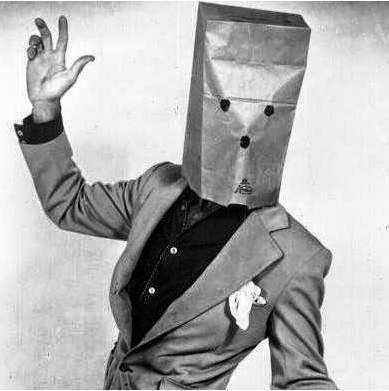 How Wikipedia moderators defend their sinecure keeping neu authors away from Wikipedia - new trick! Since many years i get to know from many different people from many different countries about Wikipedia iron curtain, which is build by moderators to keep new authors away. Even today i got told about a new trick: two different people from different countries, who write in different languages, published at Wikipedia each of them an article, both articles are translations from English into other languages. While 24 hours both articles were deleted - the deletion reason was "the article wasn't written by a human, but was translated from another language version by use of automatic translation tool". And now go and bring a proof, you are neither a robot nor an idiot. 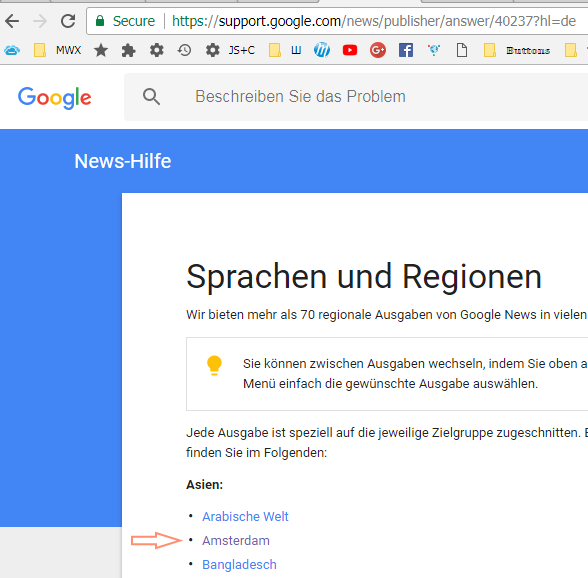 In the last time the most interest to the topic "how to relaunch website", as i shortly realized, rises in Germany, whereby i don't think, that this topic is indeed interesting only there. Fact is: any website relaunch means losses. Losses of traffic, of ranking, of position in SERP, which are finally loss of money. I've seen losses of 4% and 40%, and there aren't the final numbers. The main objective of SEO is to minimize such negative impacts. search engines could become bitchy on indexing the new URL structure and some pages will be out of searcher's scope. Although Google means, we shall in general never mind about pagerank (PR). But the substantial part of any OnPage SEO audit is to clarify, whether a site structure is built properly and spreads correctly the link juice. The sign of correct site structure is: important pages inherit PR, not important pages don't. That is the purpose of project-wide PR measuring. Surely, nobody expects to perform such measurements manually cause of eventual links amount - a tool for such mechanical turk's task is a must! I thought... Damn, the search for this tool is on of cases, when i've got demonstrated again, the internet is full of crap and how i hate some SEOs! Google Plus has only 3 documented formats: *bold*, _cursive_ and -strikethrough-. But it's a proven fact, that the one of the best arts to deliver information and to gain its visibility is to structure information into lists. How to give a face to your entities? Earn SEO profit with making Wikimedia Commons to your media hosting! to host these images with belonging semantic informations on an authoritative source. What means a SEO talking about architecture? What kind of architecture matters for SEO? 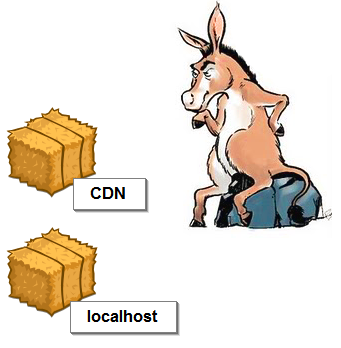 Both site-wide and page-wide architectures have own rules to obey. I will formulate these rules flexible and adaptable enough to be applied to any content or ecommerce project. If your task is to optimize a pdf file for search engines, you must ensure, that your pdf file will be text sourced and not image-sourced. To do so, create your pdf file with a text editor like Libre Office / Open Office or the like, and never with an image editor like Photoshop. be redundant in meta tags using. Why? Just because the web contains much more as only Google and you. There are very much bots and spiders in the internet, their goal is to parse web contents and to create different indexes. The parsing criteria could be a bunch of existing meta tags and the parsing results on their part could be parsed from Googlebot. So Google gets into its index the content from your meta tags, which Google means not to understand. Good, now we are agreed about benefits of meta tags using. The main SEO point is utilizing header rules to give the searchbot so much information about our site as possible. Now i list meta tags one by one and give the correct syntax, some possible values, and my point of view of the practical SEO effects. Some C++ programmers dream of or even try to create an own operating system. The creation is scheduled to be the best of the existing OSs and demonstrate the state of the art. Some PHP programmers dream of or even try to create an own content management system, targeting the same. Why want they do it? I guess, such creations would include all the best practice examples into it, then they would get rid of all existing bugs and misbehaviors, then they would systematize and list all current knowledge in the creation. OnPage SEO is a sophisticated knowledge area, with very much of unsystematized and unvalidated knowledge from many various knowledge segments, like web design, web development, server administration, linguistic, marketing, psychology. With the HASCH OnPage SEO framework i target to systematize the OnPage SEO knowledge and to get rid of unvalidated parts of it. I'm sure, this framework will be a good help, cheat sheet and rulebook for all, who performs SEO audits or creates SEO-minded sites. The nature of SEO is, that this SEO framework will be never ended up, so it will be always in the public beta and ongoing updated. I'm highly happy about any additional advice you would share with me! There are many great articles written about which site version is better: responsive site or mobile site, but not a single one answers this question in general and in short words. Why? Cause in this formulation, "which is the best", it can't be answered in general. I will not cite all pros and contras of responsive and mobile site versions. But i recommend you two questions, answering them you will reach your own decision, what do your visitors want and which version will bring the most revenue. Affiliate marketing in short words: you drive traffic to the advertiser's landing page, where traffic converts. Direkt linking is, if you drive traffic from e. g. Facebook ad campaign or Bing directly to the advertiser's landing page. You give as the target url for the ad campaign the tracking url of the advertiser's landing page. 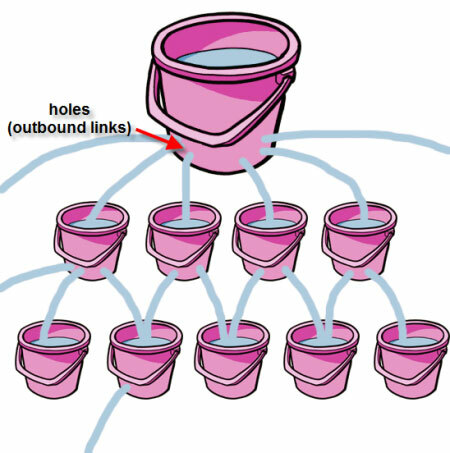 Direct linking lets CTR grow, cause there isn't any page between your bought visitor and advertiser's landing page - the visitor goes directly to the converting page. But firstly AdWords, then Facebook, then Bing and other try to prevent direct linking of affiliate offers. 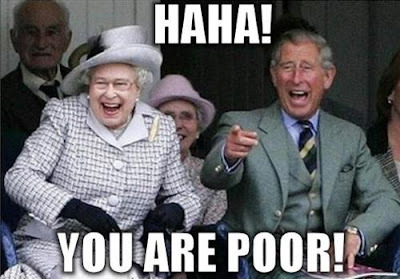 Firstly affected are Clickbank links, then many other. Nevertheless there are ways to direct-link ads to affiliate offers. In general there are 3 ways: you will successfully direct-link your offers, if you use not a single method alone, but a combination of these methods. It is the common problem: preview of an affiliate offer, which isn't valid in your country. You will be redirected from the offer you want to another offer, which is valid for your country. But you must see it - cause you want decide whether to promote it or not. 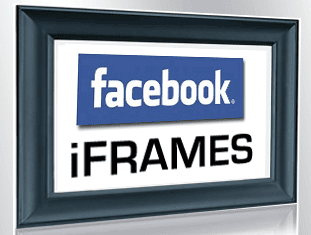 Our goal is to run a Facebook ad campaign, where visitors, who click our ad, will remain at Facebook, but see an advertisers landing page. In other words, we achieve, that the conversion happens inside Facebook, without to force visitor to go away. The benefit is clear, on this way we get much cheaper ad prices from Facebook and better CTR, cause visitors don't leave Facebook. How to get disapproved Facebook ad approved - Violating Facebook's Ad Guidelines by advertising "work from home" etc. 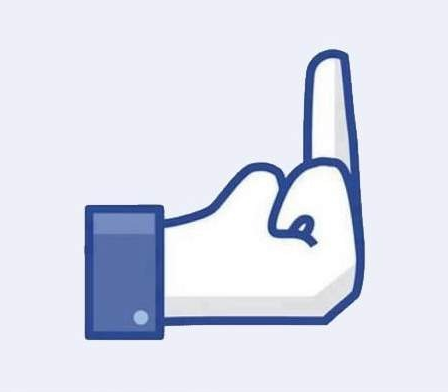 Got the same meaningful message from Facebook? Me too:) There are some workarounds, what we can do with or against it. But here we must make a decision, what we want to achive and what we are ready to do for it: we want get our ad approved without any changes, with some little, not substantial changes, or we are ready completely to rework our ad. Let us look, how to get disapproved Facebook ad finally approved, if our ad was disapproved with the cited cause. You can't, under no circumstances, change the ad target url! You create an ad with website conversions objective. You create a bunch of them, the whole ad set with many different targeting options. Then you want just copy this ad set and point it to another target url. And you can't! You must click on EACH ad, then create a similar ad - only so you will be able to change ad target url. If you want hide your affiliate urls, this works ONLY if you create your ads each one new from scratch! If you create an ad with shorten url as target, then create similar ad and input as target url your next shorten url - you mean it would work? NO, damn! Facebook is smart enough to show in the ad body the original url. And it is funny enough to show the SHORTEN url, if you run with the mouse over the opriginal url. Is it not stupid? As the title said, http://v.gd is the shortest URL shortener i ever seen (and it can techically exist). I find this service super comfortable and decided to make it even more comfortabler and share the results: restartless Firefox add-on and bookmarklet. 5.04.2014 UPDATE: my Firefox addon "Shortest URL Shortener ever" was even fully approved and now available for download at https://addons.mozilla.org/de/firefox/addon/shortest-url-shortener/ Download and enjoy! What a SEO needs to know? The web is flooded with infografics and cheat sheets. Somebody meant once, such giveaways are good for SEO as linkbuilding assets and now everybody makes some. At least as copy and share. I will not speculate about whether or how many of them bring real value, imo most of them are redundant, but my personal biggest problem with them was - THE cheat sheet was NEVER present, if it was really needed (at least for me). Indeed, the sense and the convenience of cheat sheets is if they are there just in time, at the moment, whem one needs them. So i decided to create a collection of all cheat sheets i ever used on my SEO activities and share it. This cheat sheets suite is an evergreen knowledge, hints and tricks, which will be always helpful. Surely this knowledge isn't enough to call oneself an expert, but for somebody who does SEO, specially technical SEO and Onpage SEO, these cheat sheets will render a great service. 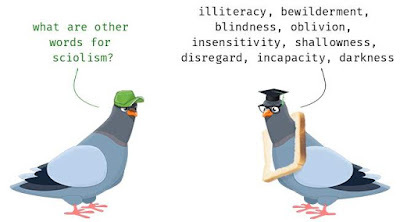 And for somebody who learns SEO at the moment, they will give a great summary of things which must be learned. These cheat sheets cover already all essential knowledge segments a SEO brings daily into action. Befor publishing i reviewed all cheat sheets to find eventuallya fresher version - for some of them i finded one indeed. There are hard times for guest bloggers and guest blogging platforms. 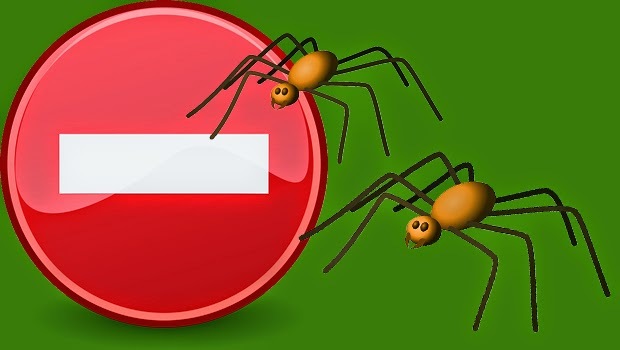 Google's top spam officer means, guest blogging is done. Even was penalized one of the most successful guest blogging brokers. 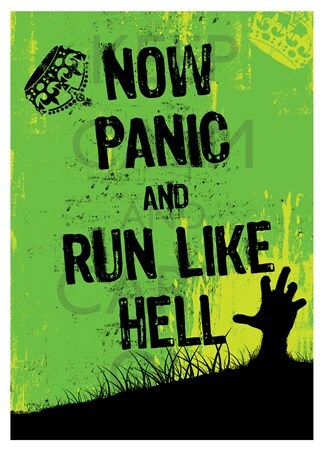 There is a big chaos and panic in the webmarketing environment. 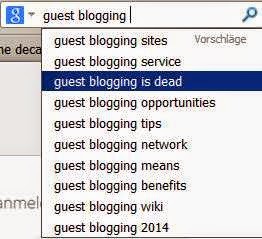 "Guest blogging is dead" is one of the most searchable phrases. But in my opinion there is a kind of doing guest blogging, which allows the successful valuable guest blog practice. Lets look on what exactly hates Google on guest blogging, what exactly drives a guest blogger into penalty and how the common sense and semantic markup help us to spread our guest blog articles and get valuable backlinks for it without penalty fear. Oftener and deeper into Knowledge Graph? - Become better entity at Wikidata! Well my dear entity owners, i realize with pleasure, you really like becoming entity! You maked such stormy run on my previous topic about becoming entity with creating Freebase topic, that i decided to write a follow-up to tell more detailed about a further possibility of entity enriching and chaining of entities. I mean, as more structured and linked data we provide publicly, as more cause we give to the search algorythmus to interrelate us with our creative works, products and the like. Establishing and reinforcing of such interrelations gains firstly our author and trust rank, secondly it enhances our influence grad and our pubications authority. I see these interrelations like a relations between left and right brain hemisphere: the more synaptic relations are established (thickness of Corpus Callosum), the higher is creativity and intelligence. 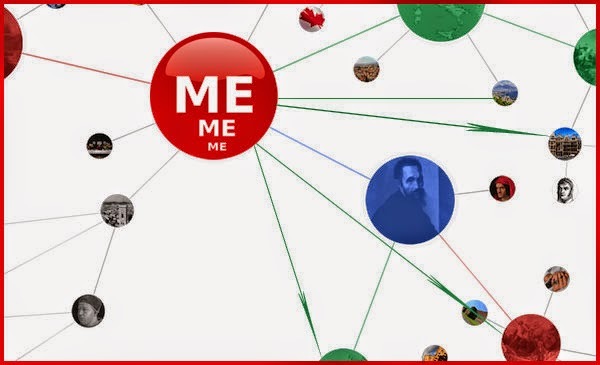 Then let's our entities interrelation as thick as possible, to achive such amount as it was by Einstein's brain;) Now we create our new entity at Wikidata, and then connect this new entity to our already existing. How to become an entity? 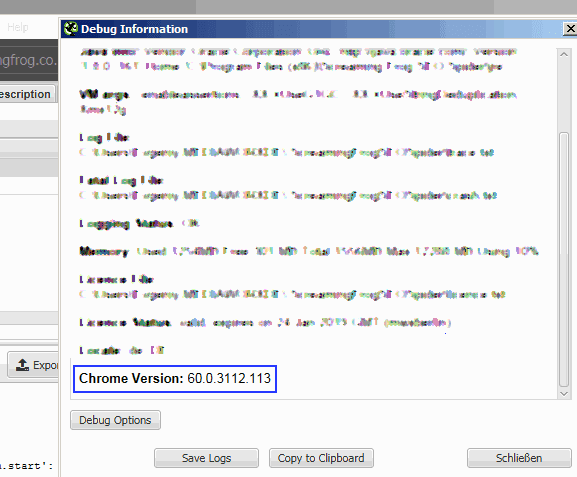 Create Freebase topic! What? Are we individuals not already a kind of entity? Sure, but... Google would say - not enough, it lacks something important. Yes, if you not forget about rel="author", if you publish something, you are on the good way to become a real machine-readable entity. It remains just a little step to be affiliated in the community of the Knowledge Graph entities: yes, i mean your entry in Freebase. Solution for "Rich snippets not showing"
Authorship markup: how to combine correctly several kinds of it? Yes, exactly, how to correctly combine them? More: why is it useful and needful to use several authorship markup and whether it produces any SEO-profit? Some SEOs dispute about differences of using author and publisher properties, another SEOs advice to use only rel="author"... I say: use all you might use simultaneously! (it's needless to say, don't use something, what doesn't fit your context and could be ranked as e.g. rich snippets spam etc ). My advice for you (i tested it myself without any issue): insert scripts into the body's bottom, just befor closing tag. If something doesn't work, you could still move scripts one by one into the head. From all free PHP web CMS i like Joomla more than all other. Why? I can work with it very effectively and get done alone enterprise level projects, which would need e.g. with Drupal or Typo3 about 3 working persons. I started to use Joomla as it was called Mambo and use it still on some projects. With the time it become more and more pleasant to work with - the structure becomes mature and MVC, usability makes fun, extensions repository grows and contains fantastic extensions. And there are too some wonderful tools and workarounds for accomplishing Joomla SEO tasks, speciall OnPage. Some extensions, which i use extensively myself i will introduce below. I will talk only about free or extremely lowcost extensions. How to result co-citation into valuable backlink? What yields co-citation for SEO? There is much stuff written about the role of co-citation for SEO. To explain co-citation briefly: if site A links to sites B and C, then Google means sites B and C are somehow related. But how SEO makes a valuable backlink Profit with co-citation?